Displaying all 5 1992 Rover Mini reviews. Mini — Its amazingly fun and its a classicly british car which isnt just a hobby but also a whole way of life as well. The way that anyone can have one as well wether you are acing round the monte carlo rally or nipping to the shops. 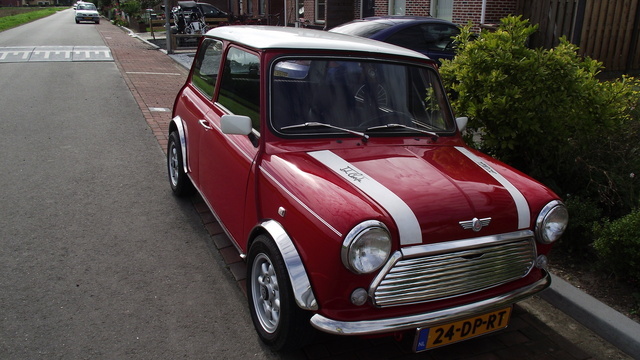 My '92 Rover Mini Cooper — '92 Rover Mini Cooper 1275cc. The last cooper working with a carb. Performance : stock power is 61 bhp but can be easily upgraded to much, much more decent levels. The 1275cc is torkey and makes a unique sound. Build quality : horrible, but this is why you buy an older mini for. Appearance : Red with its white roof : a head turner. Cost of ownership : fuel efficent, low insurance and infinitely high amounts of fun. Pros: handling, speed sensation, braking. Possibly The Best Car Ever Invented — yerr i know its small, but its really fun to drive and the handling is amazing (i havnt yet got mine to understeer). 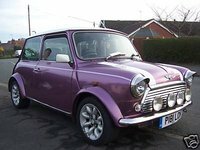 plus it feels like ure going 70mph wen in fact ure not even over 40. and its pretty, and practical for parking etc hehe. but overall a classic.